With the improvement of living standards, cosmetics are becoming more and more important in daily life. Especially for female friends. So do you know the ingredients of cosmetics? The engineer Mica Powder Factory tell you, Mica powder has the following advantages in cosmetics. (1) Wet Ground Mica Powder has good chemical stability, wet mica particles are fine, acid and alkali resistant, resistant to aging, and have good shielding function against ultraviolet rays. After purification by wet method, its whiteness, hiding power, gloss, slipperiness, dispersibility, adhesion, etc. are greatly improved, it can be evenly mixed with water and glycerin, and the texture is fine and elastic, which is a high-grade cosmetic. The preferred material for the finest raw materials and cosmetic foundations, can be used as an emulsion, cream, pearlescent agent, etc. 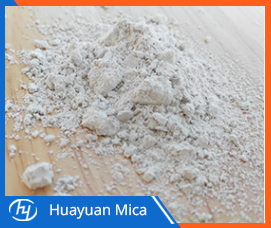 (2) Mica Powder is a natural mineral product with high chemical stability and is completely inert. Therefore, it is safe, non-toxic and harmless, and is suitable for cosmetics. (Mica is one of the components of granite, chemically stable like granite. (3) Mica wafers can shield ultraviolet and infrared rays, so it is an excellent cosmetic anti-UV agent. Because it is purely natural, non-toxic and harmless, it has the advantage that synthetic organic anti-UV agents do not have. Since the Mica Sheet is extremely thin and has a very high covering ability, only a small amount of these products are required, and an anti-ultraviolet protective agent and a brightening agent which are invisible to the naked eye are formed on the surface of the skin. (4) Since the mica wafer is fine and the coverage on the skin is not continuous, the skin is not permeable and the skin feels comfortable. (5) Moisture cannot penetrate the Mica Flakes, and it can suppress the evaporation of skin moisture when used for moisturizing the product. Therefore, the protective layer can delay the evaporation of water and improve the moisturizing of the skin. Next: What Is The Difference Between Phlogopite Mica And Muscovite?